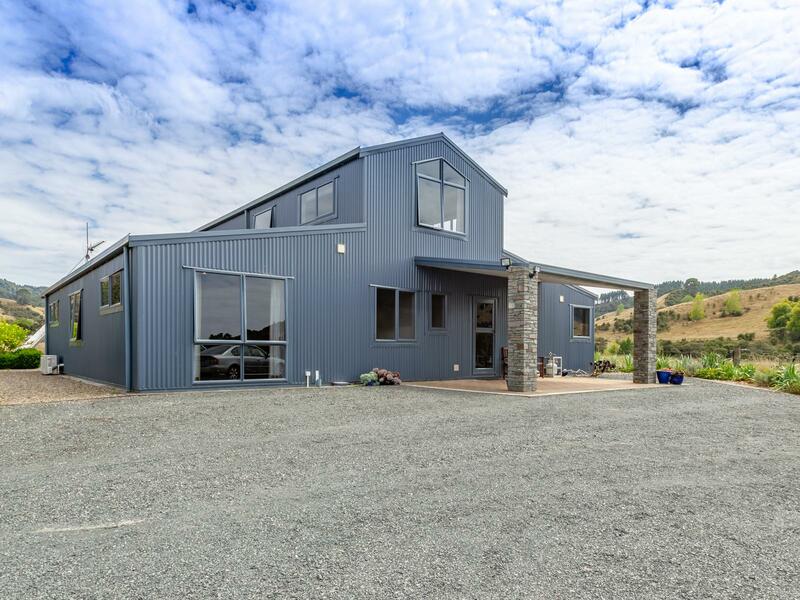 Situated just north of Tahuna, being only 35 minutes to Hamilton and just over 1 hour from Auckland makes this superb 10 acre lifestyle property an absolute must to view. Featuring a fully insulated American style barn house built by Kiwi Sheds with 4 out of the 5 bedrooms having double wardrobes and en-suite in the main bedroom. Open plan living including 3 ranch sliders opening out to beautiful rural views. 4 bay concrete garage with 3 roller doors and work bench plus a toilet as well as hot water. For the equine lovers a 40m x 25m sand based horse arena as well as 2 stables. The fully fenced heated swimming pool offers a great area for the kids as well as a partially finished brick bbq. The generous size of the 2 main buildings allows for a great catchment for rain water that fills 2 25,000 litre holding tanks that is filtered to the house and stock water. A great 3 bay hay barn offers options of calf rearing or storing hay or machinery. This property has got it all and needs to be seen. CHATTELS Stove | Fixed floor coverings | Blinds | Light fittings | Drapes | Extractor Fan | Gas Hob | 2 Heat Pumps and 2 Remotes | Mirrors | Pool Equipment | Range Hood | Security Lighting | Smoke Detectors | TV Aerial | Washing Machine Taps | Children`s playground.